Just because the cold weather is upon us, doesn’t mean we have to let our fuzz come out of hibernation. At Fuzz Wax Bar, located in the heart of Queen West village, the only fuzz allowed is warm wool socks. I had the chance to stop in to the wax bar recently, to chat with the lovely owners, Jessica Frampton and Florence Gaven, and to get rid of some of my fuzz. 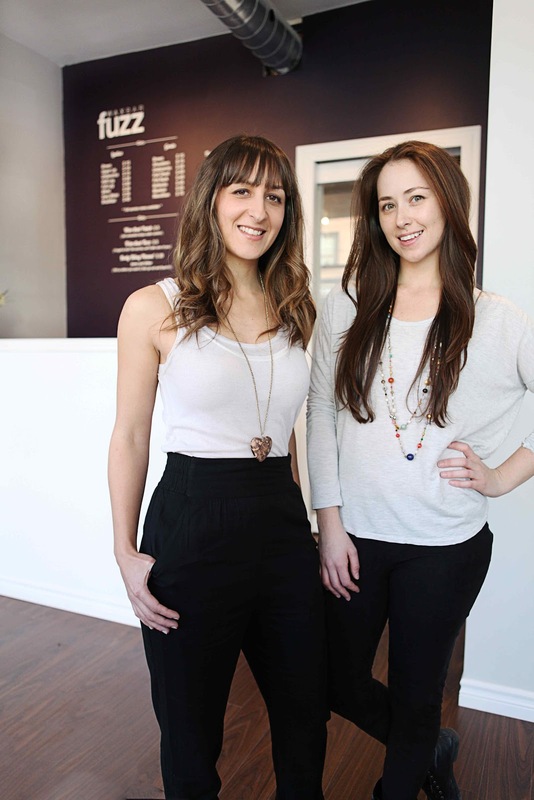 Jessica and Florence are serious about waxing and providing the best service that they can to their clients. They opened up the wax bar after conducting months of research, getting waxed by everyone and everything in the city. Noticing a divide between pricey spa locations and the “we do everything” nail salons, they opened up the shop to provide fast and quality waxing services that are affordable. Since opening in February of this year, they have seen a large group of wax newbies come through their doors. Jessica says, “The estheticians do one thing, and they do it really well. Newbies can put their goodies in our girls’ hands because they see up to 25 brazilian waxes a day. So if you’re a newbie, you’re likely to want to go to a professional who is waxing often." Fuzz Wax Bar takes sanitation very seriously. The girls proudly told me that there is no double-dipping in wax pots, estheticians always wear gloves, and that the service rooms are properly sanitized in between clients. As a frequent waxer, I was interested to learn about the membership packages which including the Fuzz Fan, Fuzz Faithful, Fuzz Fanatic. Membership packages appeal to the routine waxer as motivation to come back regularly. Individuals who sign up for a membership package in the month of December, will receive a Winter Survival Kit (left), which includes I Love My Muff soft lotion and wipes, sample-sized PFB Vanish, a Merben Bikini Brush and Fuzz’s house tweezers. As any routine waxer knows, it’s not easy to hide ¼ inch hair growth necessary for an effective wax. Feeling self-conscious of my fuzz, my esthetician, Vanessa, quickly put me at ease when I went in for my service. She assured me that she doesn’t care what your hair looks like because she’s there to get rid of it! Using the best line of defence for distracting someone on a waxing table – humour - Vanessa and I chatted about our waxing experiences. In what seemed like 10 minutes max, my entire legs were silky smooth and hair free. No fuzz here! So there you have it, Fuzz Wax Bar gives me no excuses to be fuzzy this winter. With quick, quality service at affordable prices, you will walk into Fuzz Wax Bar feeling like a woolly mammoth and leave looking like one of the Radio City Rockettes! 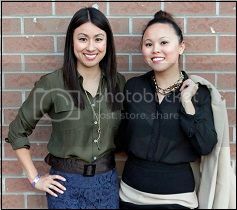 Carolyn Desrosiers is the style blogger behind www.covetedclassics.com. Follow her on Twitter @covetedclassics.